Transiting in Taiwan is filled with fun! Taiwan Tourism Bureau has been boosting exposure through international media of its short film that showcases how one can enjoy the most of Taiwan all within 24 hours. Besides exploring landmarks and popular attractions in Northern Taiwan, Travelers can also savor the local authentic Taiwanese breakfast. There is the Eslite Bookstore that opens 24/7 for everyone to soak up as much of the rich art and literary scene in Taiwan as possible. The Bureau recently launched two brand new itineraries free half-day tours for transit tourists to experience Taiwan's scenic and local culture within a limited amount of time. According to Mr. Brad Shih, Director of Taiwan Tourism Bureau in Los Angeles, there are approximately 2 million transit passengers per year, and most of them are backpackers and business travelers. To encourage international tourists to enter Taiwan for a brief visit, the Bureau offers two complimentary half-day tours. The morning tour will visit the “Shou Sin Fang Creativity Wagashi and Cultural Center” and “Sanxia & Zushi Temple”, while the afternoon itinerary includes “Chiang Kai-shek Memorial Hall” and “Longshan Temple” in Taipei city. 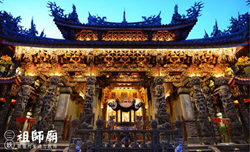 Participants will get to discover the Taiwanese folk religion, admire the historic temple architectures, and have a taste of local pastries and culinary delights. Transit or transfer passengers with valid R.O.C. visas or those who are from visa-exempt countries are eligible to apply during one's 7 to 24-hour layover stay. Passengers may book a tour after arriving at the Taoyuan International Airport Tourist Service Center located in the Arrival Lobby of each terminal on a first come first served basis, one tour per person during each stopover. Each tour is limited to 18 passengers. Please visit http://eng.taiwan.net.tw/tour/index.htm for more details. In addition, Taiwan Tourism Bureau is offering an exclusive online promotion for U.S. and Canada passport holders transiting through Taiwan. Participants will have a chance to win 4 valuable giveaways, including a complimentary one night stay at the Sunworld Dynasty Hotel Taipei, one Half-day Tour among three itinerary options – Taipei city, or North Coast, or Jiufeng Village, a limited edition MRT card, one bowl of the famous 72 Beef Noodle at the restaurant and a dessert at the Ice Monster. Simply visit http://www.go2taiwan.net/freestopover/main.jsp and register by June 30th 2016 for your chance to win. Every week during this promotion, the first 30 travelers to sign up will be able to enjoy the benefits of this free promotion on any date in 2016. Each person may register once every week. If you missed your chance, make sure to sign up early in the following week! Promotional vouchers are not transferable and limited to one redemption per shop per winner by presenting a valid U.S. or Canadian passport along with the voucher. Vouchers may not be exchanged for cash or combined with other discount offers. Hotel voucher winners may redeem along with one companion only, who may purchase other perks on the companion’s own expenses. Promotional value is only valid through December 31, 2016. For more Taiwan promotions and travel information, please visit Taiwan Tourism Bureau’s official site at http://www.taiwan.net.tw, or join Taiwan Tourism Bureau Facebook fan page at https://www.facebook.com/TourTaiwan for the latest tour product information.